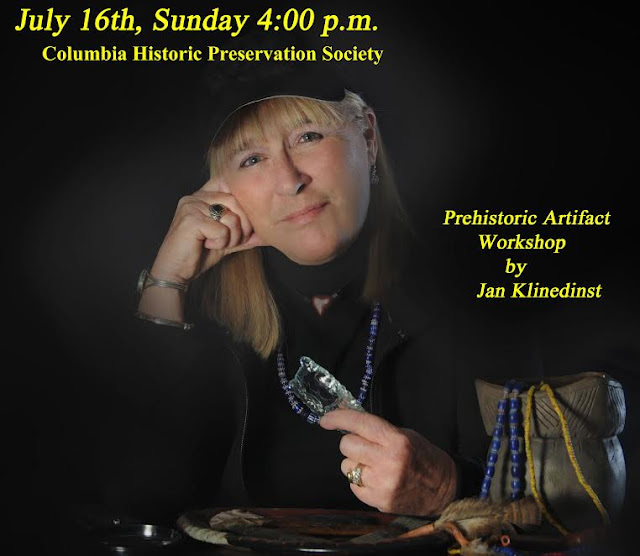 Join Conejohela Chapter 28 on Sunday, July 16, at 4 p.m. for a prehistoric workshop presented by Jan Klinedinst, our local prehistoric archaeology expert on how ancient peoples developed along the Susquehanna River. Jan's lecture paints a vivid picture in "down to earth" terms, beginning with Pennsylvania's first humans ever to see the beautiful Susquehanna River Valley over 15,000 years ago. Learn how indigenous people evolved into farmers and numbered into the tens of thousands. Pennsylvania is extremely rich with evidence of prehistoric (before a written language) Indian cultures. Easily learned methods of recording and preserving artifacts will be discussed in detail. Artifacts recovered from local sites are displayed and included in a hands on segment. Please join us and discover why York and Lancaster Counties are such significant archaeological areas.